Southeast Asia’s best season is about to begin…and although the peak season brings the biggest crowds, we happen to know of some remote regions that remain unvisited by the masses. Now that the military rule in the government has ended and the parliamentary elections have been won by the National League for Democracy, it’s the perfect time to visit Myanmar. Explore a corner of the world blissfully untouched by tourism, and share endless ocean vistas with only the sporadic local fishermen. Myanmar offers a mystical Buddhist purity and essence of old Asia - with customs, dress and cuisine. 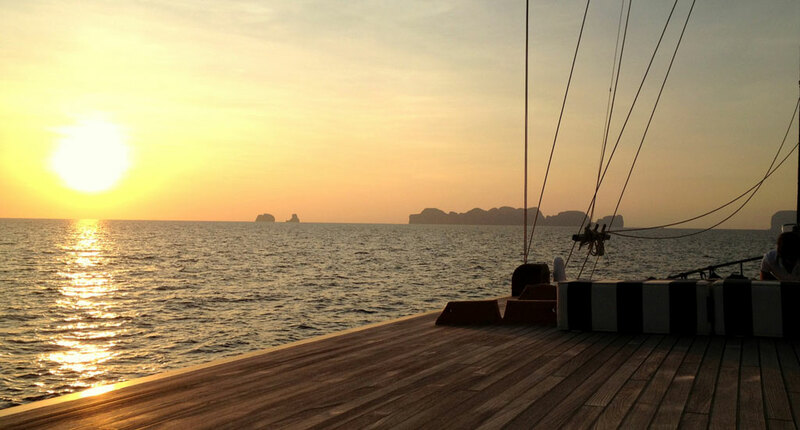 For sea lovers, the best way to explore is on board a luxurious traditional private yacht. Providing the perfect launch pad to some of the country’s most exquisite and remote castaway fantasies: the Mergui Archipelago. Spend your days among desert islands, meeting local tribes and discovering their way of life. Snorkel in clear waters; kayak to reach hidden lagoons; and meet the Moken people – the so called “sea gypsies” - who live their entire lives on the sea. Hike through tropical forests, valleys and up hills to explore the landscapes of these untouched islands. For dinner, your crew will serve you a meal of freshly caught seafood, under the stars. As you uncover the secrets of this paradise, you will glide on the waters between islands, which are punctuated with some of the best diving spots on the planet. Navigate rocky escarpments to discover hidden crystalline lagoons from your kayaks; reaching untrodden, remote and romantic beaches marked only by your fresh footprints. As well as relaxing on perfect beaches, your inner adventurer will revel in the discovery of inlets, mangrove channels and sea caves. Drop anchor in secluded bays as the sun falls, searching your tropical paradise for more hidden wonders. By the time you leave and the reality of your experience sets in, you’ll feel like the last people on earth. Get in touch with our Asia Trip Planner to explore your very own Myanmar, by simply completing this form.